Who is the Queen of QuickBooks? The Queen’s given name is Pamela Lyons. Her royal pedigree consists of more than 20 years of accounting experience, several technical certifications, and 15 years of teaching QuickBooks to companies and college students. All of this expertise qualifies The Queen of QuickBooks to rule over The Land of Accounting. How people learn accounting best. How to make learning pleasant — and even fun! What makes the the Queen an Expert? A business major from the College of Notre Dame, Pamela is an expert in both accounting and teaching QuickBooks. She became a Certified QuickBooks ProAdvisor and Microsoft Certified Professional (certifications: MCSE, MCP, MCT) and set out to give hands-on help. After more than 15 years of teaching people how to use QuickBooks, the Queen knows how to lead you through the Land of Accounting. 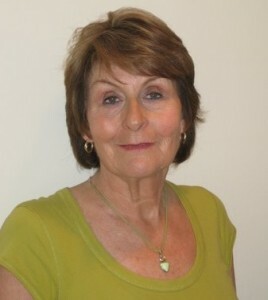 Pamela teaches QuickBooks at local San Francisco Bay Area and Marin County educational sites. Pamela is also a member of the Association for Talent Development (formerly known as the American Society for Training and Development) and will soon be certified for her “Train the Trainer” expertise. She has successfully transformed hundreds of individuals and business owners into competent accounting success stories. Is the Land of Accounting Boring? It doesn’t have to be. Using proven techniques developed in the classroom, Pamela sprinkles accounting and QuickBooks with humor and relevant examples. This helps you set up and understand how to manage the day-to-day accounting in your business. Her examples make sense and you “get it” — even if it’s a complicated accounting equation. In fact, many find themselves smiling and chuckling through the very accounting instruction they’ve avoided for years! Few people can sit down with a manual and teach themselves a program. Pamelaknows that as social animals, we learn best when someone shows us how to do something. So she takes you by the hand and walks you through the maze of assets, liabilities, debits and credits. Sign up for a class, or read Pamela’s articles.